Stephen Hawking knew what questions to ask — and he wasn’t bad at the answers either, as his last book indicates. Then there was the news about his nurse for many years, being investigated for financial misconduct and not providing adequate care, which reminded you of one of the saddest truths of Hawking’s life: his dependence on others. His second wife, Elaine Mason, was accused by a witness of serious abuse as well (Hawking would turn up at the hospital with unexplained cuts and bruises), and though we don’t know how true this was (Hawking refused to file a formal complaint) it brought home the great vulnerability that lay beneath his halo of ‘patron saint of mind over matter’. A halo bestowed upon him by his readers, which he wore with considerable aplomb (unlike the knighthood offered by the Queen which he declined, citing the British government’s unsatisfactory science funding). The same government issued a coin in Hawking’s honour last week, with his name and an image of a black hole on it. This seems a bit weird too but at least it’s related to his work. Hawking’s discovery of what’s now known as the ‘Hawking radiation’ from a black hole is, in fellow scientist Kip Thorne’s words, “perhaps the most radical theoretical physics discovery in the second half of the twentieth century.” So much more work on black holes followed, along with work on quantum gravity (especially a ‘no-boundary’ theory of the universe’s birth with James Hartle). 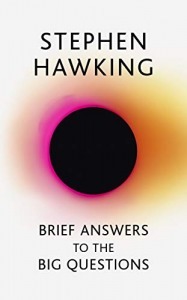 Hawking had some papers in the works even when he passed away, such as one contesting the eternal inflation of the universe (with Thomas Hertog) and another addressing the black hole information paradox, both released after his death. Hawking was far from perfect — his first wife Jane Wilde Hawking Jones’ autobiography, which was considerably whitewashed for the film The Theory of Everything, attests to that — and, truth be told, while his scientific work is fascinating, and no one may be more lucid in explaining to a layman how black holes work, sections of even his last ‘popular’ book will have you scuttling for a theoretical physics handbook in an attempt to even try and grasp what’s being said. Similarly, it’s true that his ability to defy physical odds, in writing bestselling books, making TV appearances, traveling around the world, visiting the South Pole, going down a mine shaft and experiencing zero gravity – indeed his ability to live on for over 50 years, when doctors had given him two or three, and to take to popularizing science shortly after he lost his voice, first using his fingers, then his cheek muscle – is the primary reason why Stephen Hawking is a household name. The phenomenon of Hawking is made up of a lot of spectacle. Science writer Joao Medeiros writes of filmmaker Errol Morris saying to him, “You know, I finally understand what your attraction is to Marilyn Monroe. She was this very smart person who was appreciated more for her body than her mind.” Hawking agreed. But none of this takes away from the one trait that characterizes Hawking above all others and makes him valuable to even non-scientists, not as a symbol, but as a mind. It may also have been the one thing that kept him alive: his indefatigable curiosity. It is this curiosity — elevating him from scientist to thinker — that leaps out at you from the pages of Hawking’s final book, in chapters that are rooted within his area of expertise (Is there a God? How did it all begin? Can we predict the future? What is inside a black hole? Is time travel possible? How do we shape the future?) as well as those that aren’t (Will we survive on Earth? Is there other intelligent life in the universe? Should we colonise space? Will artificial intelligence outsmart us?). At first, when you read Brief Answers… , you are overwhelmed by a sense of delicious escapism. You may feel this is counterintuitive, but you have no idea how relieving it is to accept that humanity might just be wiped out by an asteroid (guaranteed to occur in the not-too-distant future by “the laws of physics and probability” Hawking says), even as you’re mulling grave issues of divisive politics, poverty and unemployment. It might stop you from tearing your hair out over your country teetering on the brink of war, for instance, to know that an alien invasion may suddenly be on the cards, out of nowhere. Imagine that news anchor you detest who’s calling for battle yet again and then suddenly the anchor is swallowed by ET. Dream a little dream. On a more serious note, past events have proved time and again that the future is, in the words of Nassim Nicholas Taleb, a “Black Swan”: a genuinely unpredictable event of major impact that is rationalized in hindsight (swans were believed to be white till the first black swan was discovered). Hawking doesn’t predict the future as much as lay down a framework for some things which may not be our most immediate concerns but which we need to think about for tomorrow. His book reiterates the idea that knowledge about what we must do and, indeed, the action itself, can be accomplished incrementally, through a series of trials and errors that one generation must commit for the sake of the other. In this vein, his final book is not a compilation of brief answers, for there are no brief answers. Rather, it is an examination of big questions. These questions drive Brief Answers… For instance, Hawking writes that we have discovered a few thousand planets orbiting distant stars and one in five stars have an “Earth-life planet” orbiting it, which is “compatible with life as we know it.” However, he warns of transmitting messages to such intelligent life for, “meeting a more advanced civilization… might be a bit like the original inhabitants of America meeting Columbus – and I don’t think they thought they were better off for it”. Esoteric as this issue may seem, it is actually at the centre of an ongoing ‘transmission debate’ between two camps. On one side is SETI (Search for Extra-Terrestrial Intelligence) which is against responding to evidence of extra-terrestrial intelligence, or a signal from them, without international consultations. On the other side, METI (Messaging Extra-Terrestrial Intelligence) proactively seeks to make contact by transmitting radio signals from powerful telescopes. As a running thread through chapters, Hawking weaves in the question of whether the rate of human evolution is sufficient to deal with such challenges. To paraphrase, he points out that Darwinian evolution (that individual humans experience genetically) is barely a fraction of the evolution of externally transmitted information (for example, via books and articles that humankind has produced as a whole) that we have witnessed in the past 300 years. He puts the total amount of useful information in our genes to a hundred million bits, whereas “a major national library can contain… ten trillion bits”. Hence, the issue of the human brain not being able to process all the knowledge available to us. Add to this the fact that our genes, evolving slower than we would have liked them to, still sustain primitive aggressive impulses. These impulses may have helped us survive, individually or in smaller groups, during our caveman days, but may lead to our destruction as a global civilization today. The Doomsday Clock, for instance, Hawking points out, was set to two minutes to midnight just last year. The Doomsday Clock, maintained by the Bulletin of the Atomic Scientists is a measurement of the imminence of catastrophe (military or environmental). Originally set at seven minutes to midnight in 1947, two minutes to midnight is the closest to catastrophe that we have ever been. Hawking thinks that despite laws being passed against genetically engineering humans “some people won’t be able to resist the temptation to improve human characteristics, such as size of memory, resistance to disease and length of life”. This may lead to a superhumans who, Hawking warns, will bring with them “social and political problems with respect to unimproved humans”. This is at the heart of a raging debate too and, unlike with aliens, we have a case in point. In November last year rogue scientist He Jiankui announced that he had created the world’s first gene edited babies by manipulating DNA which allows HIV to infect the body. This has sparked the renewal of a debate which involves not just scientists but also social scientists for discussing the larger socio-political ramifications of such technology, which – even if effective – may allow only the wealthy and influential to be able to afford to enhance their children. Still, while emphasizing the need to research the impact of AI on society (a concern, Hawking writes, that has been echoed by Bill Gates, Elon Musk and Steve Wozniak, and now “a healthy culture of risk assessment and awareness of societal implications is beginning to take root”) the scientist also points out the potential of AI allowing for constructive human-computer interfaces. This ranges from AI “that would help reverse paralysis” to connecting “a human brain to the internet” so that it has “all of Wikipedia as its resource”. Many would argue that countries belonging to the developing world have more pressing needs that they should focus on single-mindedly. They would be wrong. If you study a modern history of the world you will realize that what distinguished the colonizers from the colonized was the benefits of the scientific and industrial revolutions. The world is governed by international pacts and treaties today so a recurrence of large-scale military expansionism is unlikely but, rest assured, the disparity between the developed and developing nations will continue to be driven by scientific innovation. And those countries which haven’t kept pace with the latest will suffer. No one predicted before Sir Charles Parsons invented the steam turbine that it would be generating 80% of the world’s electricity in a little over a century. Science is an ocean of game-changing possibilities that you have to keep an eye on because if one of them occurs the game will change before you have learnt the new rules. This doesn’t mean every nation has to be at the forefront of scientific discovery – this may not be possible – but its leaders had better know enough and have enough wherewithal to be able to impact the debates of tomorrow. In the last 200 years the world population has jumped from 1 billion to about 7.7 billion. “By the year 2600 the world’s population would be standing shoulder to shoulder and the electricity consumption would make the Earth glow red hot,” Hawking writes. He goes on to clarify, helpfully, that this would only be of concern to us if we haven’t already been hit by an asteroid or obliterated one another in a nuclear war. Either way, he says, either an environmental catastrophe or nuclear confrontation will “cripple the Earth” in the next thousand years. For a solution, after contemplating colonies on Mars and the Moon (each comes with its own set of limitations), Hawking discusses Interstellar travel. He takes Proxima b, an exoplanet orbiting the star Proxima Centauri, within the solar system Alpha Centauri, as a planet we may possibly consider moving to. Proxima b, “which is the closest to earth but still four and a half light years (25 trillion miles) away.” Voyager, which has just made it to interstellar space, will take 70,000 years to reach Alpha Centauri. Hawking writes about Breakthrough Starshot, a programme he and Yuri Milner launched in 2016 which aims to be able to send out into space a nanocraft traveling at a fifth of the speed of light (100 million miles an hour). It would reach Mars in an hour, Pluto in days and Alpha Centauri in just over twenty years. This wouldn’t be human interstellar travel, but Breakthrough Starshot could send back images of a habitable (or not) planet that seems to be closest to us. A giant leap for humankind. But many more will be needed. Hawking’s final chapter on shaping the future underscores the importance of something he has devoted a considerable amount of his life to: scientific literacy. Not so that all of us can become scientists, but so that we are familiar with and confident of scientific subjects and capable of engaging with the latest developments to learn more. “A world where only a tiny super-elite are capable of understanding advanced science and technology and its applications would be… a dangerous and limited one,” he writes. Sadly, that is exactly what we seem to have become. Some science fiction lovers place their hope for saving the world in time travel being invented so we can keep going back and setting things right. Hawking has reassuring words for them at the end of a long chapter discussing, among other things, the Uncertainty Principle, the Casimir effect and alternative histories. “Science-fiction fans need not lose heart,” he writes. “There’s hope in M-theory.” He does however stress the need of a ‘Chronology Protection Law’ to prevent “logical problems” like people from going back in time and killing their parents before they were conceived, or doing something else to prevent themselves from embarking on the journey back into time in the first place. So far, however, we have not had any tourists from the future. In 2009 Hawking had held a party for time travellers in Cambridge, sending out invitations after the party to make sure only genuine time travellers came. No one showed up. 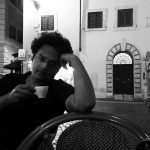 Rishi Majumder is a journalist and Associate Partner at the new media company Oijo. He is working on a book on Syama Prasad Mookerjee.